Gallecs. Meeting point at football field parking. 10 de deu teatre is a group based in Cardedeu that for the past 12 years has been making theatre. Has had several directors with whom they have explored different ways of making and understanding the scene. With their current director, Esther Freixa, they have experienced the approach of collective creation in their own way. 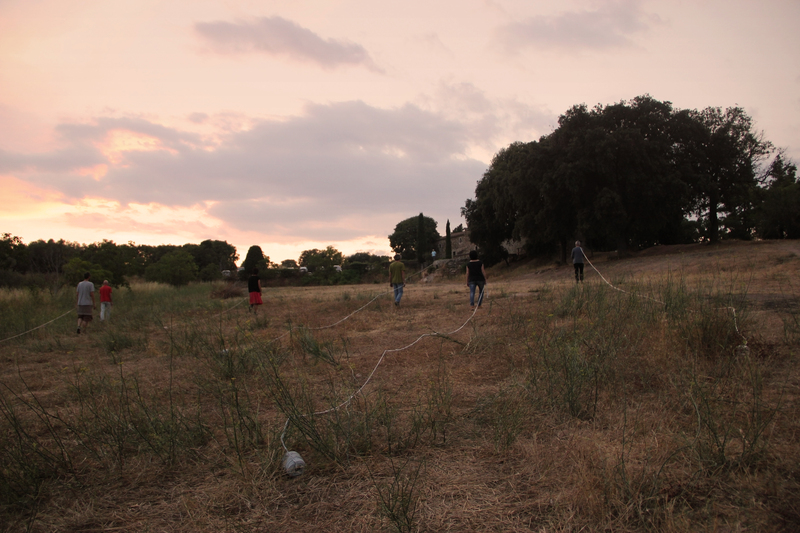 Working from improvisations, exercises, practices, reflections and research on the subject, they have created En-filats, a performance that seeks to reflect and make visible the exile as a fact. Fee: minimum 5€ plus voluntary donations entirely destined to the NGO Open Arms. This activity is the result of a collaboration between CRA’P, the consortium of Gallecs, and the Programme Art and Scene of Mollet del Vallès City Council.